New electricity regulations being proposed by the Environmental Protection Agency (EPA) would have devastating effects on the U.S. economy, but would be even more detrimental to Wisconsin’s families and businesses. According to this joint study published by The Beacon Hill Institute at Suffolk University and The John K. MacIver Institute for Public Policy, the EPA’s proposed Clean Power Plan would cost Wisconsin $920 million in 2030, increase electricity prices significantly and lower disposable income in the state by nearly $2 billion. The EPA’s proposed rules, which are expected to go into effect in summer of 2015, aim to limit carbon emissions from coal-fired electricity power plants by cutting the allowable amount of emissions by more than half. The rules would force utilities to close coal-fired plants in Wisconsin or adopt expensive and unproven technologies, such as carbon capture and storage. If the regulations stay unchanged, by 2030, the average residential customer would pay an additional $225 a year for electricity. The average commercial business would pay an additional $1,530 a year for electricity. However, both rate hikes are a fraction of the increases that would be faced by the state’s manufacturers. Wisconsin’s industrial businesses account for one-third of electricity use in the state. Because of a heavy reliance on electricity to power large machinery, the average industrial ratepayer can be expected to pay an additional $105,094 a year in 2030. Such a dramatic increase in energy costs for manufacturers – the backbone of Wisconsin’s economy – would have a direct impact on the state’s workers. Thanks to rising electricity prices across all sectors – residential, commercial and industrial – nearly 21,000 jobs would be lost and disposable income would drop $1.82 billion over the next 15 years. Wisconsin would suffer especially because of its strong reliance on electricity generated by coal-fired power plants. More than 60 percent of electricity generation in the state is from coal-fired plants, more than double the national average of 28 percent. The rules proposed by the EPA would therefore inflict large negative impacts on the economy of Wisconsin. The state would experience significant declines in employment, wages, disposable income and investment upon implementation of the policy. Wisconsinites and state policymakers need to be aware of the serious consequences that come with these rules. Read the policy brief in PDF form by clicking here. 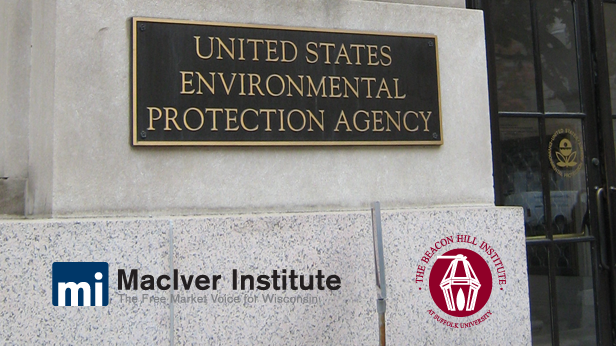 The full report by The Beacon Hill Institute on the national effects of the EPA rules is available by clicking here.